Home › AppMan › earn online › featured › AppMan Review - Is AppMan A Scam? AppMan Review - Is AppMan A Scam? AppMan is an app that you can find in either Android Google Play store or IOS App store. 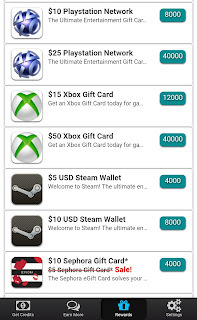 AppMan pays you to down and try out free games and apps on your android or apple smart devices. Currently, they are giving new users a $5 dollar bonus on the first time they claim their first $5 dollar reward. In other words, after you reach a value of $5 dollars in credits you can cash out and automatically receive $10 as a result of their sign-up bonus. AppMan is also available in multiple countries around the world. making this app one of the few international money making apps. An issue you should be aware of is that the minimum PayPal payments start at $15. However, Amazon gift cards do start at $1. With that said after reading our AppMan review you should know everything you need to know to make a quick $10 in under 20 minutes! It may seem strange for AppMan to be willing to pay you for something so simple as playing a game, but it's no scam. They have a relationship with developers who sometimes have a hard time getting their apps recognition in the marketplace. That’s where AppMan comes in to help out and connects with their users. The developers are more than willing to pay AppMan every time their user's download or try out a game or app they offer. AppMan then in return are willing to split their profits with their users. AppMan is completely free to use and is available for both iOS and Android devices. Getting started can be broken down into 2 easy steps. This Download link will take you to Appman's site where you can choose to download either Get For IOS or Get For Android. Of course, you will choice your device type and get signed up. Tip: If you're downloading for IOS you must be using the Safari Browser on your device. 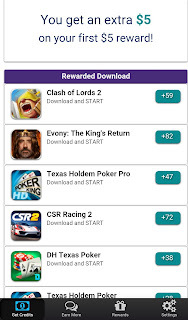 After opening the AppMan app you will see a long list of apps and games that you will be paid to download. You will see the name of the app and Icon much like you would see in an app store. However, you will also see an amount of points you’ll get, as well as all and requirements to get credit for the download. 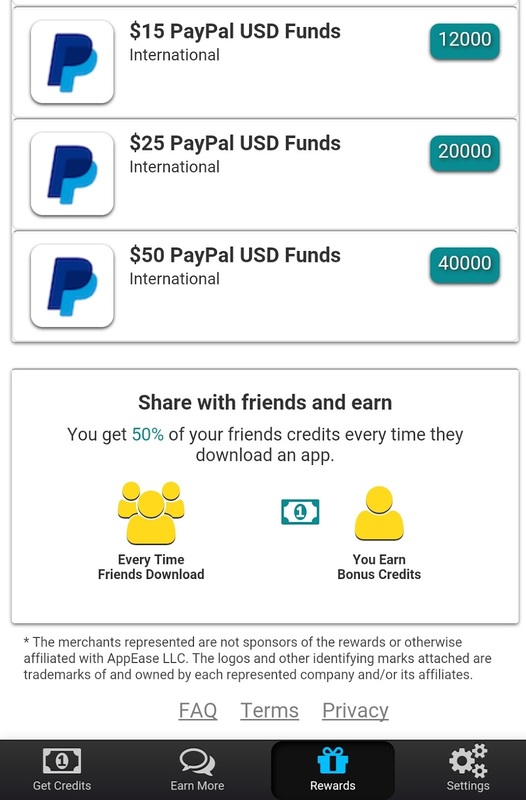 The amount of cash you will be paid for each app depends on which app or game you are downloading, All games and apps reward you with a different amount of credits. Usually the more the download requires the more you will earn. After you first sign-up, you can expect to have around 20 to 30 apps available for download. After you find an app you wish to download, just click on on the icon or name. A new page will pop up and you will hit the blue OKAY button to be taken to the Google Play store or App Store. At this point, you can download the app choice as you would any other app. 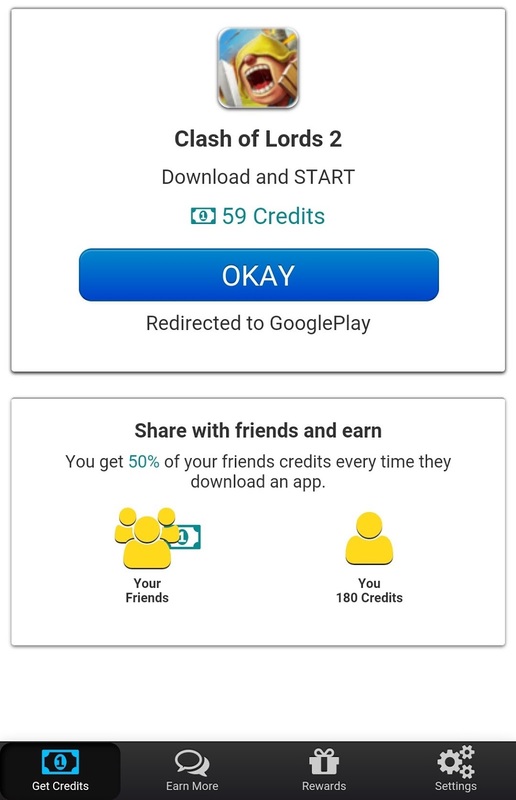 Tip: In most cases in order to receive credit, you have to leave the game or app installed and opened for at least 2 minutes. Personally, I would leave the app installed on your device for around a half hour before deleting it just to be safe. Apps usually just require you to download the app and open it. In other cases, you will find that you must also complete a task within the app such as make it to a specific level on a game. As I mentioned before you will earn credits as you download games and apps to your device. 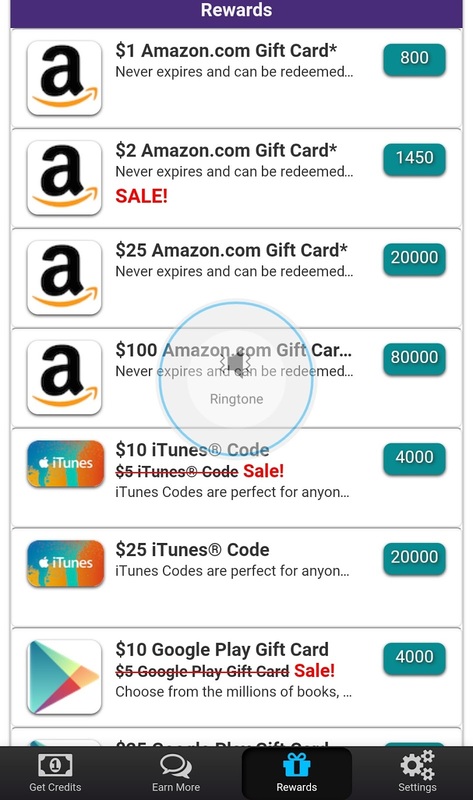 These credits can be turned into gift cards such as Amazon or cashed out to PayPal. The Minimum withdraw for Amazon payments is $1. The Minimum withdraws for most Others Gift Cards is $10 to $20. Payments are made within 48 hours of cashing out. 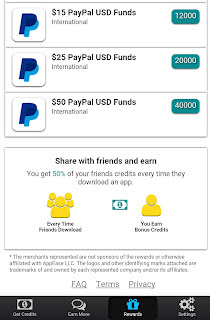 AppMan offers users a very generous referral program that will help you earn more cash with their app. 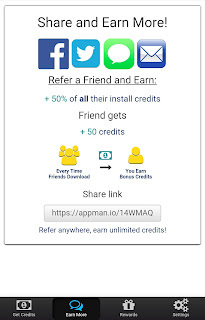 AppMan provides you with you own referral link that you can use to share the AppMan app with you friends and family. If one of your friends decided to use your link you will earn a nice bonus of 50% of their earnings for life. They in return will also get a bonus in the form of 50 points for signing up with you. If you’d like to support Living Cheaply, please use our referral link HERE. We’d greatly appreciate it! Cashing out your first time should only take you about 15 to 20 minutes and make you $10. After you have installed AppMan on your device, you should have enough apps available for you to download in order for you to make $5 worth of credits. 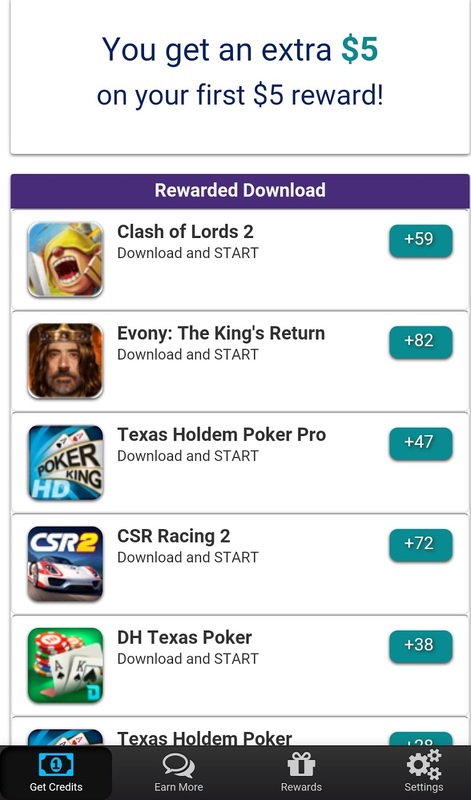 When you combine this with the $5 dollar bonus AppMan offers you be sitting pretty at $ 10 in under 20 minutes for messing around and playing on our phone or device. This rate will not contiue however after your first time around. You should only expect to see around 1 to 2 games or apps each day for downlaod. Make sure you check back every day so you do not miss out on any new offers. AppMan is completely legit and is no scam. 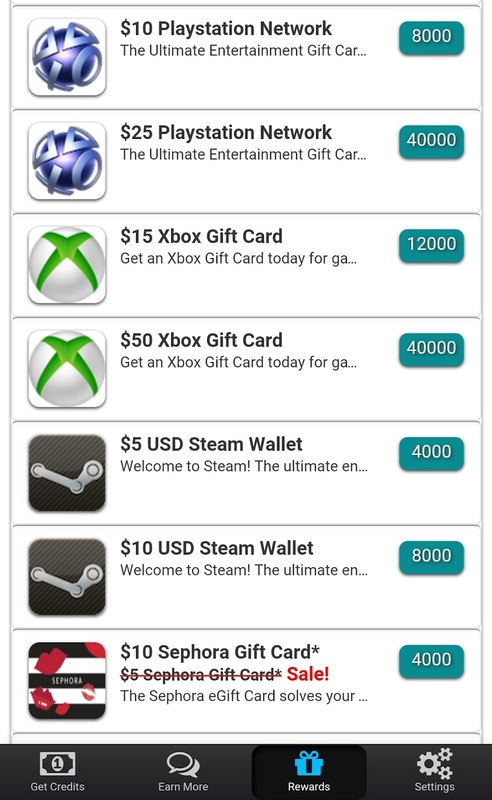 This completely legitimate app really does pay you to download games and apps. 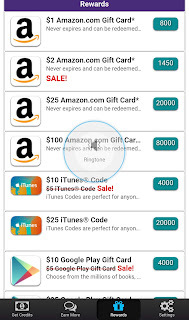 AppMan is an easy way to make an extra $10 quickly. Remember to always be sure to check back each day for new games and apps and download them before they go away. Also, I would advise you to be sure to follow the requirements exactly as requested. Then to be on the safe side of things use the apps a little bit more than they require you to.